The Medical Assistant program at Methodist College can be completed in as little as 18 months, on a part-time or full-time basis. Some courses may be offered in the evening and online, making it convenient for individuals who work or have other responsibilities. Please contact the Office of Admissions at admissions@methodistcol.edu for additional information on Admission Requirements. The tuition for this 46-credit-hour program is approximately $15,000 (does not include books and fees). 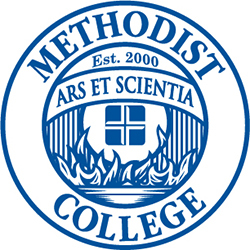 Methodist College works with employers who offer tuition reimbursement. Financial assistance is available for those who qualify. For more information, visit our Financial Aid page. This information is provided by Methodist College in compliance with the Federal Gainful Employment regulations. As a private non-profit education institution, we are required to report the following information for certificate and diploma programs that meet gainful employment definitions. If you are ready to apply to the Medical Assistant program, please complete an application HERE.